Two mighty warriors help a pair of Chinese children reclaim their homeland in the first trailer for Outcast, starring Nicolas Cage and Hayden Christensen as you've never seen them before. 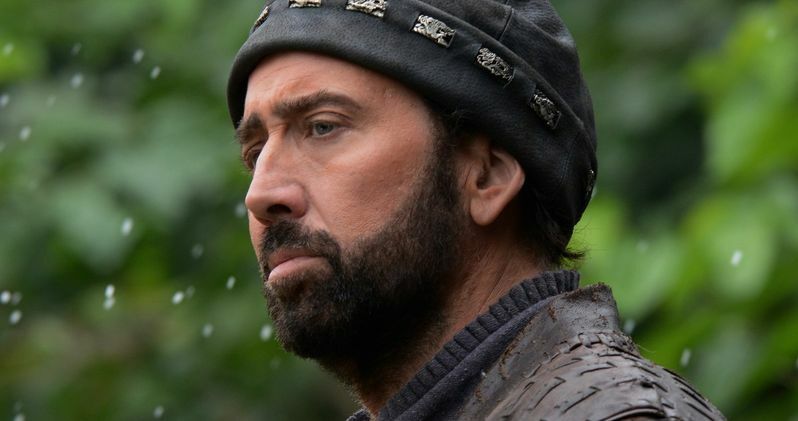 The story, set in 12th Century China, centers on the two children of a Chinese Emperor who seek the help of two warriors from the Crusades (Nicolas Cage and Hayden Christensen) to defeat their treacherous uncle. We also have the first poster from director Nick Powell's period action epic, co-starring Yifei Liu, Andy On, Fernando Chien and Preston Baker, arriving in theaters February 27, 2015 from Arclight Films. When the heir of the Imperial throne becomes the target of assassination by his despised older brother, the young prince's only hope is the protection of his sister, and the reluctant aid of war-weary Crusader, Arken (Hayden Christensen),who must overcome his own personal demons and rally the assistance of the legendary Crusader-turned-bandit, Gallain (Nicolas Cage), to return the prince to his rightful place on the throne.